In the early hours of today, singer Ayo Balogun, Wizkid was arrested by the Lagos state Police command in Onikan Zone 2 after some UNILAG students reported him to the police. According to the students, they paid .5million naira to the star for a performance at Unilag Sports Centre for the concert of life that was suppose to hold on the 24th of May, 2013 but he didn’t show up. The trouble started because Wizkid and his manager didn’t contact them after the no show. Wizkid was whisked to Onikan police station this afternoon. He was briefly queried and detained. His lawyer came in this afternoon to secure his bail. He has been told to report back next week to resume the case. 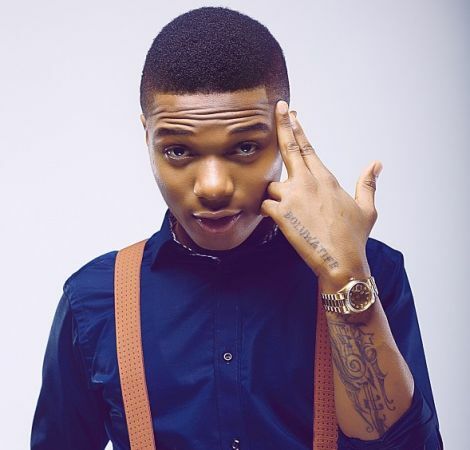 Some students are alleging that Wizkid wasn’t the person who collected the money. They said a fraudster duped the students. Though the words on the street is that he was invited for questioning, a close source said he was actually arrested. bt d student said is nt wizkid dat dey gave d money,may be wizkid manager dn’t tell him and is nt wizkid dat we supost to blem na him manager. WIZKID am still ur fan. If dis talk is true,den wizkid must b a fool cos smtin u didnt wok 4.five mila na 5 naira? Let d mata b investigate propar propar if na true dat mean Wizkid no try make them make sure say him and him manager surfer d tin wella wella no hard feeling d law must take it’s place. Dont blame wizkid na manager cause this problem. Well nawa days we don“t nid 2 trust any body,if sombody like jeff okoro will vehemetly work away with his mg 10,000m talk more of wizkid.i pray GOD wll help us.